With the launch so near, there is no escape from the Samsung Galaxy Note7 rumour storm. Today’s host of leaks come in the form of press renders, video showing the iris scanner in action, new battery life detail, and a possible Gold colour variant in the making. 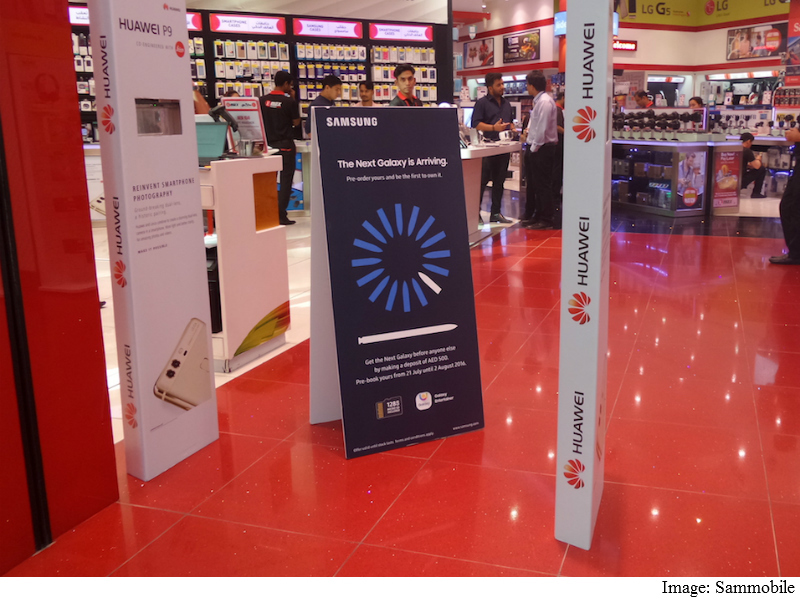 Running up to the launch, a retailer in the Dubai market has even started to take pre-orders for the phablet. 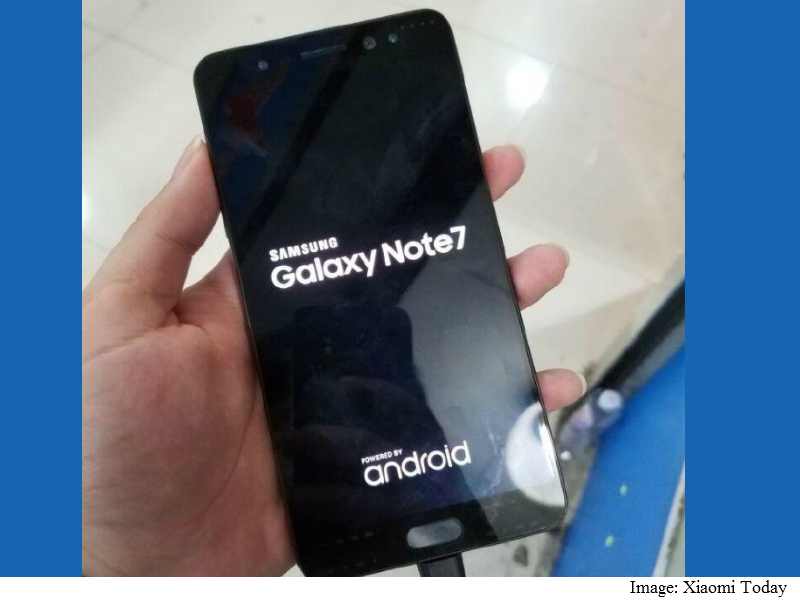 The Samsung Galaxy Note7 is expected to go on sale the same day as the launch event on August 2, and with less than half a month to go, a tech shop in Dubai has already started taking pre-orders, reports Sammobile. The retailer is taking AED 500 (roughly Rs. 9,200) in exchange for a confirmed Galaxy Note7 on August 2. A video leak shows the iris scanner in action, and testifies as to just how fast it is. In the video, it doesn’t even take a second for the Galaxy Note7 to unlock and enter into the home screen. Sammobile, however reports that there are some caveats attached with this feature. The Settings screen for the iris scanner shows that the scan should be done with a minimum distance of 8-inches at least. Samsung further suggests using the scanner at 9.8 (25 cm) to 13.8 inches (35 cm) from your face. It even asks user’s to keep babies and children from using the scanner. This could be because of the infrared beam that it used to scan the eye. Samsung decided to use infrared as it works better in dark areas and weird angles as well. 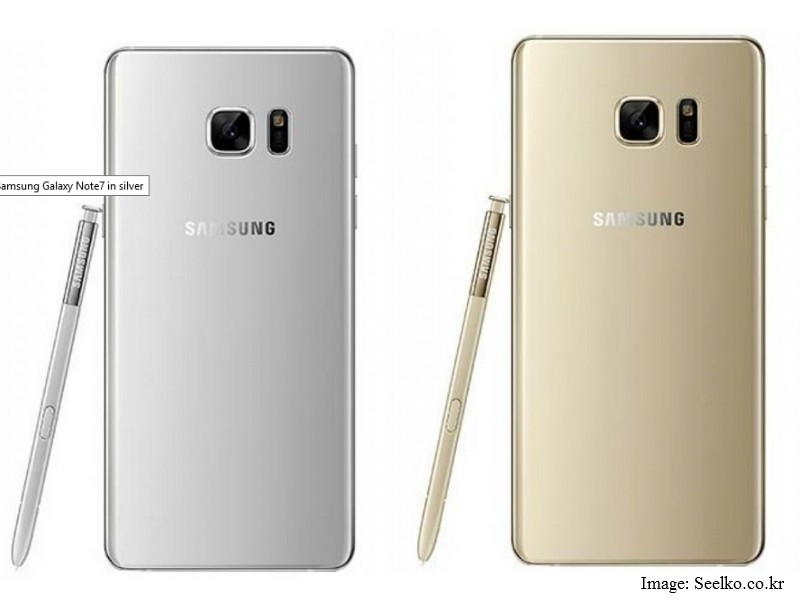 A separate set of press render leaks (via Seeko) suggest that a Gold colour variant for the Galaxy Note7 is also in the making. This will be offered alongside Coral Blue, Silver Titanium, and Black colour options that have been leaked on multiple occasions in the past. Another leak from TechDroider shows the Black colour variant from the front. Interestingly, the sensors at the top of the bezel for the iris scanner seem to be missing from this leak. Meanwhile, the mystery surrounding the death of the flat screen variant still continues. A fresh round of images showing the flat screen Galaxy Note7 in action refutes previous rumours of an exclusive curved screen display. While noted tipster Evan Blass asserts that Samsung is only looking to launch the dual-edge screen Galaxy Note7, these flat screen leaked images (via Xiaomi Today) scream a different story. AndroidPure is also reporting that the Galaxy Note7 will only feature a 3500mAh battery. Several leaks point to a 4000mAh battery, however recent ones brought it down to 3600mAh. The latest listing has brought it down even further, and it even suggests a Super Amoled (1440×2560 pixels) display. The Galaxy Note7 is expected to feature a 6-inch display, an Exynos 8893 chipset (or Snapdragon 821 SoC) paired alongside 6GB RAM. It is tipped to be waterproof, sport USB Type-C port, come with a new 256GB storage option, a 12-megapixel rear camera, and a 5-megapixel front camera.